Steppe. 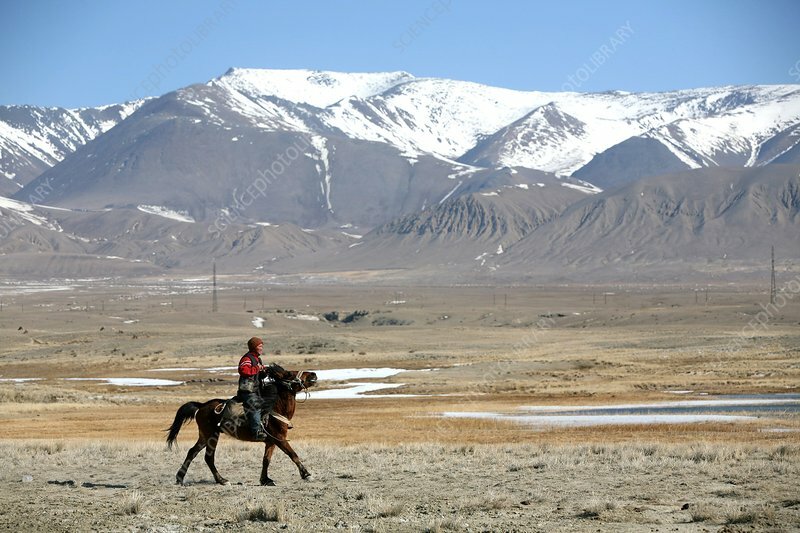 A mounted shepherd riding across the Great Steppe of central Asia. The Great Steppe is a vast region of grassland, too dry for forests but too wet to be a desert. Photographed in the Altai Region of Russia.